That's a BOOK Release party, by the way. Barb has never been incarcerated that we know of. As happens with a Christmas story setting and Buffalo, NY at that, there will be no beach party. But a little snow will never keep us from a good party. The Sabres hockey team is at home this weekend (life is good), so come in and relax, shake off the snow and our servers will supply you with something hearty from the buffet table. Come on in where it's nice and warm! That wind can be murder! The Christmas decorations are twinkling (I hired out) and I know you'll enjoy the food. Sam's cousin made some great Cannolis. The chocolate is not just for decoration by the way, and those Italian cookies are made with real Ricotta. To survive up here, we eat plenty of fats and carbs. I don't think we could get away without serving Wings! Buffalo. Wings. Get it? You decide how hot you want them. We have Mild, Spicy or "I can't seem to breathe". The blue cheese and celery are on the side. Have no fear, there really isn't any need for security at this party, but he does add a certain something to the party. Do you want your hot chocolate shaken, or stirred? The wait staff hasn't been all that reliable. and the other one has proven to be quite a distraction. Barb has ordered one of these vests for each of the Inkies. Thanks Barb! Our heroine, Donna Russell, insisted we serve meatball subs, but you'll have to read the book to figure out why. You might want to take just a small portion to start, because the lasagna, both vegetarian and traditional, is coming out of the oven soon. 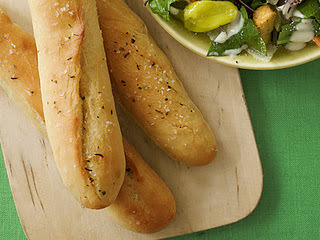 And don't forget to try the breadsticks, a recipe handed down in Sam's family for generations! To learn more about Barb, visit Monday's interview from DeAnna Julie Dodson. For Deb's review, come back tomorrow. There might be leftovers. Here's the trailer for Gold, Frankincense, and Murder, an ebook releasing today from White Rose Publishing, a Pelican Publishing LLC. or for your Kindle or Kindle APP, or for your Nook or Nook app. Thanks for stopping in. Leave a note for Barb in our comment section and we will include your name for a chance to win a free download of GOLD FRANKINCENSE AND MURDER to enjoy for yourself! Believe me it's the best 99cents you'll spend all month. A special thank you to Anita Mae Draper who did some HTML magic and cleaned up this post when it went all kaflooey on me. What would we do with her? Piers Brosnan is a worthwhile distraction! Yes, a day that starts with Pierce Brosnan can't be all bad. Wow! Thanks Deb, for setting this all up. You're a party planner extraordinaire! And thanks, Lisa for the lovely banner! I may wait on the wings and the meatball sub for later in the day. But perhaps a cookie with my morning coffee. Congratulations Barb on this big day, and I hope it's the first of many releases. This sweet little book is going to start something big. I'll be in and out today checking on the food and guests and keeping a close eye on the help. oh, and it's finally cold enough for that snow. We had some last night. Barb? We had some snow yesterday--just when I was thinking we might squeak through November without any. But it all melted pretty quickly. Which is how I like it, actually. It's not snow I mind so much, just the accumulation of it. I'm so proud of you, and I know your family is double proud! I'm looking forward to reading your book. Thanks, Shelley! It seems like just yesterday, I was talking about wanting to write a book. LOL. I guess it wasn't just yesterday. Hope you enjoy it. And have a cookie or two. Sorry you're not feeling well, but I do hope you enjoy the book. You'll have to let me know if any of our shared high school experiences have crept into the character of my geometry teacher. LOL. Tori--I'm so glad you could stop by. And thanks for the kind word about the trailer. And I really am going to have to find one of those writer vests. Gotta love Castle. I'll take my chocolate shaken by Pierce please. 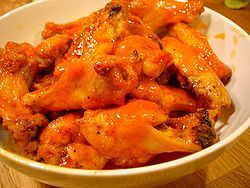 And I'll stop back later for the wings and subs too. By the way, Virginia Beach is decorated with holiday lights right now. You pay $10 to drive down the boardwalk through the Christmas extravaganza, so despite the surf and nice weather, we do know how to party winter style here too. Just sayin'. I've been up that way around Christmas time. My in-laws live in the northeast part of North Carolina. 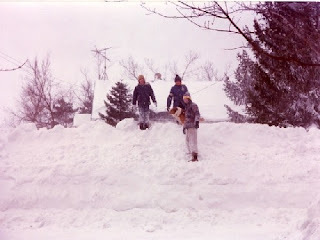 In fact, we were there last year and got buried in snow. I think we were the only ones around with a snow brush and ice scraper for the car--not that it did us any good when the only shovel to be found was a post-hold digger. LOL. And I really want to create the virtual food diet. No calories in any of our treats today. Fantastic trailer! Can't wait to read the book! Thanks Carol--for stopping by and for the kind comment on my trailer. Hope you enjoy it! Barb, I was primarily looking forward to watching the actual shaking process, but now that you ask, I'll take whipped cream. Methinks the hot chocolate is going to be very popular today. 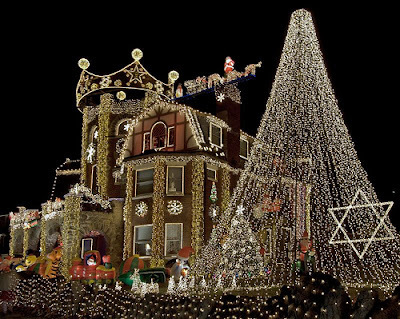 I'm looking forward to my annual Christmas Lights tour with my girlfriends and granddaughter. This year, we have grown (I don't mean my friends and I have gotten wider...though...) but we now have three grandchildren and have to go to two vehicles or a van! It's a blast. Can you imagine being the neighbors of some of these places, like this decorated house in Boston. It draws some strange number like 45k visitors throughout the season. yikes. love VISITORS. can I emphasize that enough? I will gladly spend the day in the kitchen cooking if you can all hang out with us! Must call for more breadsticks! Thanks Mrs. D, great photo by the way. Do you ALL KNOW THAT BARB makes book trailers. You can go to her site and get a sample I think. Why are we having Barb's day of celebration early? Isn't it today? Yes, I'll have a hot chocolate, please. With a touch of cinnamon on my melting mallows. btw - does anyone have a really good recipe for hot chocolate or cocoa? You know, the kind you make on the stove? After having sliced the top of my finger while opening a jar of peanut butter this morning, I should probably stay out of the kitchen for awhile, eh? No, we're celebrating right on time. Anita, I get "Early" jokes so much--well, I really don't mind them. My maiden name was Plau, pronounced "plow." And it was not a good name to have growing up. Think what it would be if I hyphenated--sounds like something out of the Farmer's Almanac. Hooray! Congratulations, Barb. What an awesome day! I've asked for a kindle for Christmas and you know what my very first purchase will be? ;) Unfortunately that means I can't read the story for a few weeks, but it will be a Christmas Day treat for me to curl up and lose myself in the story. So excited for you, Barb! That sounds lovely. Christmas day is a wonderful day to just relax. I hope you enjoy it. Well, I've been reading the Barb's book to celebrate the release. It's thoroughly delightful. I've been laughing out loud the whole time. And back to the Christmas lights. Deb, our tradition is to open the sunroof and let the kids sit on top of the car. It's one way at about five miles per hour, so the police just wave and laugh if they pass by. Dina--I'm glad you're enjoying the book. We have a drive though area decorated for Christmas, at the fair grounds. Probably not as nice as what you're describing. But I've never actually gone. Maybe this year. They used to decorate the area by Niagara Falls. They called it the festival of lights, and it was lovely. But they couldn't afford to keep it up. Sigh. Thanks, Elaine. I have to admit, it is a nice feeling. Better than that is a few people I barely know--or don't know at all--are hearing about it and posting. That's fun. 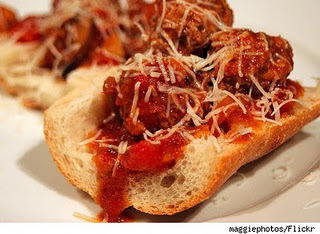 But now I have to try my hand at a meatball sandwich, too (who put that picture in? ), because I've never had one of those and it looks delicious. So, I hope the Captain doesn't mind walnuts with his meatballs. 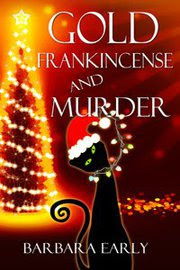 Anyway, three cheers for GOLD FRANKINCENSE AND MURDER... I predict it's going to be around for a long time! And I always wanted one of those "WRITER" vests. 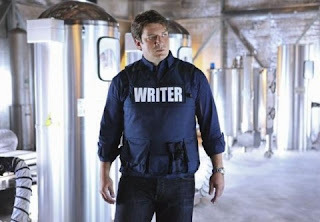 Richard Castle FTW! Congrats on your new book Barb! Sell a million! Oh, Congratulations, Barb, on your book being released! All the food is so good looking, it's making me hungry all over again :) Wonderful party! Just finished reading your book, and completely enjoyed it! Check out my Facebook review! Did I recognize some characters? I think so! Lilly, you've never had a meatball sandwich? They're as good as you think they are. Pretty common around her on a sub roll - hoagie roll, bomber...or whatever they are called. Nice to see all our visitors today. A shout out to Faye! You know...It's been way too long since I had a meatball sub myself. Becky, give us the link, 'kay? Barb, just wanted to say a big Congratulations on the book. Enjoy the moment. When I lived in the DC area, we used to go see the White House Christmas tree every year. Have Barb access her Facebook page. It was terribly difficult to upload anywhere else. Well, Barb is in some deep discussion with Richard Castle, so I just went and stole this off her FB page, Becky. Was that illegal? does facebook own those words now? I have a feeling more than a few people are digging into this novella right now. I'm posting my review tomorrow, so come back and see what I have to say. I can't work up any suspense. You know I loved it. Barb, congratulations! I'm so excited for you. May it lead to many more sales! Posted those words to my Shelfari page, so in some way Amazon also owns them! Hint hint we'll remember that Suzie. Ps Barb actually is busy with a real release party. I'm sorry to say I didn't jump in the truck and go. Carrot cake muffins too... Sniff sniff. Sorry! Just got back. Things were slowing down, so I thought I could sneak off for a couple hours. I guess not. Looking at what I missed now. 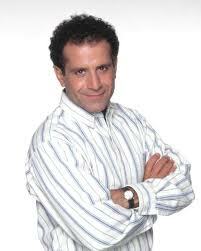 DeAnna, I had to use the Urban Dictionary to find out what FTW stands for. I'm assuming it was the non-naughty definition. LOL. Faye--did you get your hot chocolate OK? Since Pierce is doling out the chocolate, all the rest of the food is just kind of sitting there. We'll have to break out the Saran Wrap soon. ACK! There's a naughty definition? Thanks, Becky. Love the review. I should say that Becky and I went to school together--way back to Junior High. She's a librarian now. Yes, I know people not far from here who have never been to Niagara Falls. I can't see how they missed it. We would take visiting family and friends to see it all the time--and we took field trips in school. We even took a field trip for our high school Spanish class, because our teacher gave us a tour all in Spanish. I don't know if I understood a word she said beyond cataratas. I'd ship the cupcakes, but I don't know if the cream cheese would make it. Tons of food left over. I overplanned. Enough for another party. Or two. Hmmm... If you leave now, you can get here by...? You better believe we do, Barb! Thanks for sharing. So sorry I wasn't here earlier. I had a lot of studies to do at work today. Not a problem, Suzie. We were hopping pretty steadily throughout the day. I'm tired. The partying is wearing me out. LOL. Barb, I hope you had a wonderful time at your launch party! It was lovely, ladies. Thank you.And thanks, Jennifer.